RIM has always prided itself on having a very secure platform, and security features have always been very important to them. BlackBerry 7, RIM's latest smartphone OS has just received security certification from TÜV Rheinland i-sec GmbH. The study found that BlackBerry 7 provides effective protection of data stored on the device, as well as proper security settings. The BlackBerry 7 OS passed the checkpoint tests for "range of security functionality", "security functionality effectiveness against non-destructive physical access", "security functionality effectiveness against access via user interfaces", and "security functionality effectiveness against access via software installed on the device (apps)". Security is always important, and BlackBerry 7 offers just as secure an experience as any of the previous BlackBerry versions. Full press release after the break. Dusseldorf, Germany - Research In Motion (RIM) (NASDAQ: RIMM; TSX: RIM) today announced that the powerful BlackBerry® 7 Operating System (OS) has been independently evaluated and awarded a security certification by TÜV Rheinland i-sec GmbH. The TÜV Rheinland i-sed GmbH certification attests that the security functionalities which are integrated into the BlackBerry 7 OS provide an effective protection of data processed in the device and that a satisfactory security level is met based on the configuration settings recommended by TÜV Rheinland. 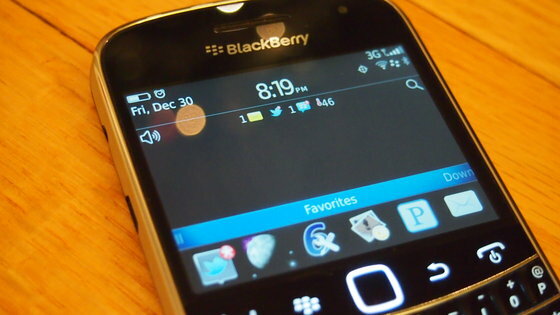 The BlackBerry 7 OS passed the checkpoint tests for "range of security functionality", "security functionality effectiveness against non-destructive physical access", "security functionality effectiveness against access via user interfaces", and "security functionality effectiveness against access via software installed on the device (apps)". TÜV Rheinland also made suggestions for further developments such as an advanced secure wipe function for microSD cards that would complement the existing encryption capabilities available for external storage on BlackBerry smartphones. The certification is based on tests conducted by TÜV Rheinland as well as existing certifications including "Common Criteria EAL 4+ Maintenance Report BlackBerry® Device Software 7.0.0 v1.0 and referenced documents" and "FIPS 140-2 certification No. 1669." "As a market leader in delivering secure, mobile solutions, RIM is committed to achieving independent, third party approvals of the BlackBerry security architecture," said Marcus Klische, BlackBerry Security Advisor at RIM. "We view security as being fundamentally important and we are proud that the BlackBerry 7 OS has been awarded with this certification." BlackBerry 7 powers the new generation of BlackBerry® smartphones and includes significant performance enhancements as well as many new features and functionality out of the box. It also notably features BlackBerry® Balance technology, allowing users to enjoy the full BlackBerry smartphone experience for both work and personal purposes without compromising the IT department's need for advanced security and IT controls.